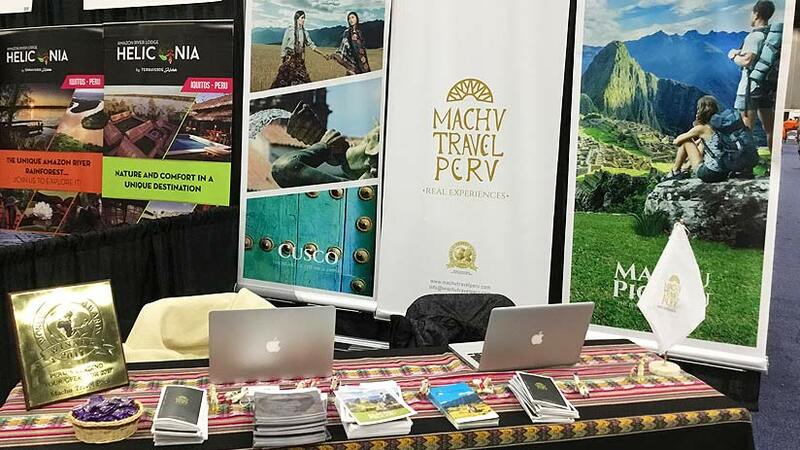 Machu Travel Peru had the good fortune to attend the Los Angeles Travel and Adventure Show this past week in Los Angeles. 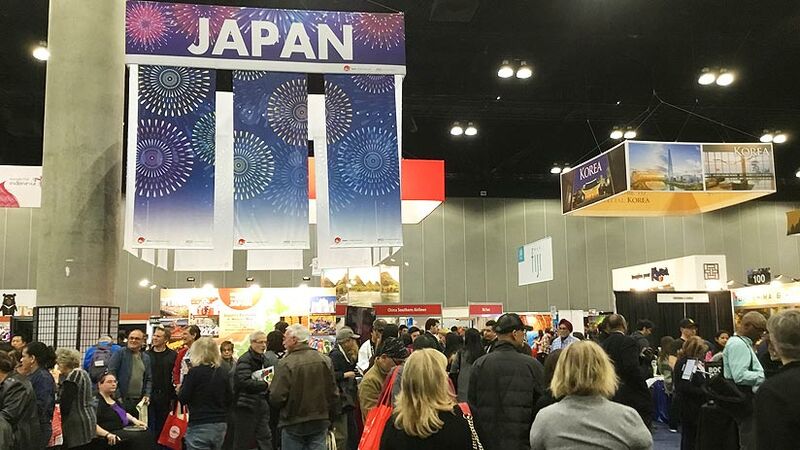 The show was filled with countries from all over the world, exhibiting there beautiful travel products and with colorful stands showing photos of the wonderful places to visit all over the world. All continents were represented at the show, with a big Asian presence. Asian countries featured included, China, Thailand, Malaysia, India and Japan were beautifully decorated with local decoration and were popular with great free giveaways. The Africans were also at the show in force, some bringing life-sized statues of the wild animals, like Giraffes and Lions, which made the colors of Africa a feature at the show. River cruising is a big hit a in the travel market in the past years and some of the big companies were represented at the show. River cruising in Europe was on display and look very inviting. There were some great giveaways from some of the bigger companies, giving great discounted tours and hotels for the winners. As you can imagine this was a hit with the attendees. Everybody seemed to be enjoying themselves and all were very keen to chat about their travel adventures and dreams. 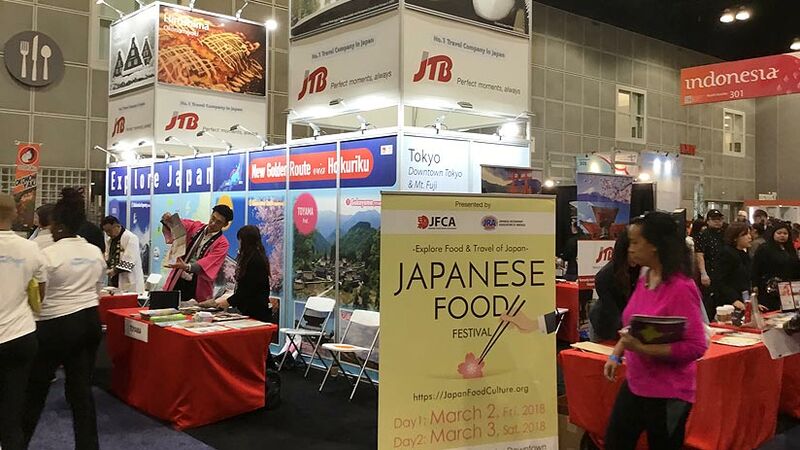 The show also featured many different speakers over the two days, for example in the Travel Theater top celebrity travel personalities such as Samantha Brown, Rick Steves, Phil Keoghan and Pauline Frommer from the famous Frommer travel book family were there to speak and inspire. In the Destination Theater, the public learned where to go and when to go, what to do and how to get there, from the destination experts that gave an in depth, description on each destination and how to travel like a local. In the Savvy Traveler Theater, there were travel tips, tricks and advice from the experts on how to travel like a pro. Topics included how to pack, technology skills, travel safety methods, budget and how to pick the best agent. Lastly, in the Taste of Travel Theater, chefs from around the world were preparing their local cuisines right in front of you. Cooking demonstrations were held throughout the day and the smells were amazing, the audience were given an opportunity to taste some of the different foods. All day at the show on the center stage, there were dances preforming from all over the world, like belly dancing, many different dances from Asia and dancers from Polynesia. The African dancers were colorful and entertaining, the crowds gathered to see the beautiful dancers take the stage. In the back corner of the Los Angeles Convention Center, where the show was held, there was to the amazement of all, a swimming pool giving free diving lessons to those who were interested. Also at the back of the hall were camels and free rides to the attendees, which was popular with the children. Many thousands visited the show over the two days all interested in seeing all the exotic destinations that featured at the show. All the attendees left the show with many different brochures and giveaways that were on offer. Machu Travel Peru were well received with the people attending having many questions about travel to Peru and especially about the best time to visit Machu Picchu. The crowd waited patiently for their turn to speak with the Machu Travel Peru representatives that attended the show. We gave out much information to the public and spent many hours speaking about Peru and Machu Picchu. Well positioned in the Latin American section of the show surrounded by other exhibitors from all over Latin America, Machu Travel Peru found the experience to be very valuable. Due to popularity of the Peru in the international travel market, our stand was very busy indeed. The public was very happy to see our company represented at the show. 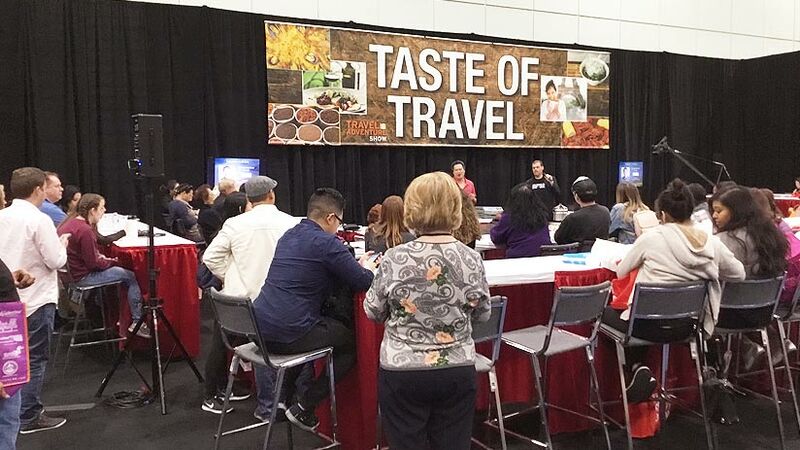 The Los Angeles Travel show organizers have shows all over the United States in January, February and March every year, with crowd numbers growing every year. Which shows that travelling is more popular than ever. 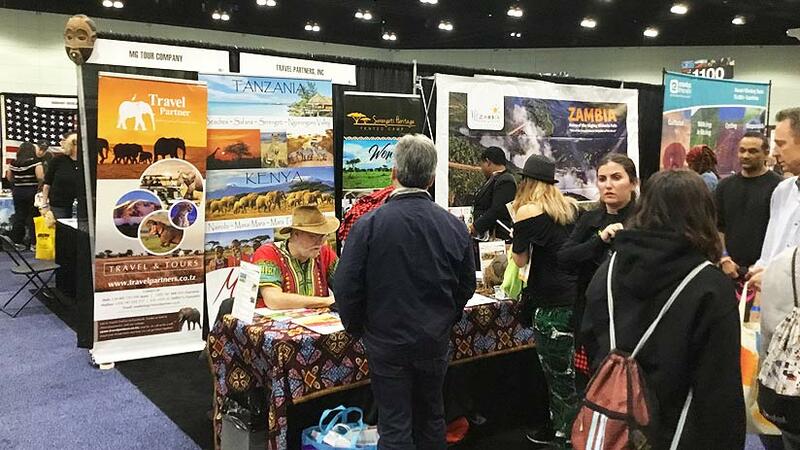 Take the time to visit a Travel and Adventure show in your area, if you are planning a peruvian vacation in the near future or if you just want to the experience of seeing all the different travel destinations. Machu Travel Peru looks forward to attending more travel shows in the future and are very excited about the prospect. The show was a great learning experience for the company as we move forward in the South American travel market. We hope to see you at the next Los Angeles Travel Show so we can talk to you about the marvels of Peru and South America. The end a quote from the fabulous Maya Angelou, ¨A life unexplored is not worth living¨. Travel To Peru machu picchu. permalink.